If you are looking for a multi-purpose bar which suits best for Women, and shows high quality along with durability, then 25mm B&R Bar is the best option to choose. 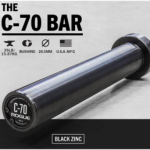 Manufactured by Rogue Fitness and constructed by coaches named Mike Burgener and Mark Rippetoe (B&R), across the globe this bar is considered as one of the best bare steel barbell bar for women who want to train hard with an old school feel. The reason of it is due to the fact that bare steel provides a traditional, raw feel that is very hard to find nowadays in a world full of chrome plates, zinc coated and aluminum finished barbells. Though in bare steel, some maintenance is required with respect to time, but it has great benefits and features that certainly can’t be overlooked. I really wanted to purchase a barbell for my wife because she was having trouble using my Rogue Ohio bar in powerlifting and CrossFit WOD. Also, two people using one bar, made our workout very slow. 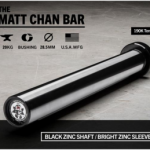 I searched on internet for a good quality Women’s barbell, and the first name which came in the list was of 25mm Women’s B&R Bar 2.0. 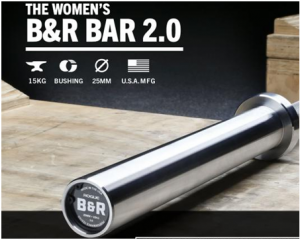 The 25mm Women’s B&R Bar comes with a very extravagant features and specifications in a very affordable price. Having an average and common tensile strength of 190,000 PSI, along with sintered bushing system, makes the barbell and knurling very comfortable and durable. The B&R bar ensures that it doesn’t lose spin after a time, but it is yet recommended to oil the sleeves accordingly. The B&R 25mm Women Bar is designed with respect to Rogue Bella bar, generally having the same specifications and manufacturing. The Women’s Burgener & Rippetoe Barbell is fully engineered and manufactured in Columbus, Ohio with an original B&R steel design, 190,000 KSI tensile strength and high quality unique snap ring construction. For power and Olympic weightlifting, this 25mm B&R consist of two manly made knurling marks thus having no center knurling. To provide a balance of standard whip and stiffness, bronze bushings are used that are very reliable and durable. The B&R’s standard bar which is made of bare steel keeps the rod and knurling in its new and genuine form, hence showing an impressive, traditional look with an exact feel of old school barbell which nowadays chrome covered bars strive to match. 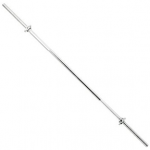 This bar has the ability to perform a good range of Olympic and Power lift, which means that the whip is more than moderate and is powerful enough to withstand heavy loads without having a bend on the bar. Though the bar is more of rigid than whippy which is good because whippy bars are usually 28mm in diameter and are designed mostly for Olympic weight lifting only. 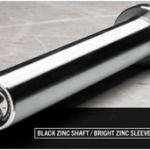 For sleeve rotation, the use of bronze bushing is done 25mm Women’s B&R bar. Due to the fact these bushing provides aquite reliable spin that is very durable and comes in comparatively less price than needle bearing bars. These brushings are self-lubricating because they are sintered, and therefore there isn’t a need of maintenance on them. Means, no need for oiling the sleeves from the day you get your package arrived. Like any fine piece of machined steel, the bare steel on the B&R Bar require maintenance from time to time than most oxide, zinc or chrome plated bars do. Just by brushing the Bar down occasionally, with 3-in-1 or WD-40 will help prevent rusting and will give a new fresh look. Showing how bars were actually made to give an unmatchable feel. Every Rogue B&R Women’s Bar is engineered and assembled in Columbus, Ohio, and comes with a lifetime guarantee against bending and breaking. Warranty against bending won’t be claimed, if any bar is defected due to faulty or negligent use, maintenance, alteration, handling or storage by the user. Rogue follows a policy of shipping the equipment on the same day if they are placed by 3PM. The Rogue Shipping System provides you to keep a track on your order, just by the time you place it till the time it comes to your door. The bar is made for women especially. Usage of the bar is normally for Weightlifting, Olympic Weightlifting, Powerlifting, multipurpose. The bar comes in a weight of 15kg. 25mm is the dimeter of the bar. The bar have an Olympic knurling with a center knurl not supported. Dual knurl marks are present on the bar. On the bar there is a shaft coating of Bare Steel. The bar have a bare steel coating on the sleeves. In my opinion, when I purchased this barbell for my commercial gym, the ladies and beginners were really satisfied by the addition of Rogue B&R Women’s bar because they were having trouble in handling standard Ohio Bar and many old school bars. They had short, petite hands by which it wasn’t easy to perform barbell exercise such as deadlifts, squats, CrossFit and cleans in heavier weight. The B&R Women’s bar which is made of bare steel, along with dual knurling gave the users a secure and comfortable grip with a traditional old school feel. The bar consist of a bronze bushing which had a fantastic spin and whip. Thus having a good whip can help you a lot while performing Olympic lifts. The bare steel was extremely solid which had the ability to handle any type of dropping without giving a certain bend or break. However, it is recommended to keep the steel rod with proper maintenance and care because bare steel bar oxidize very fast in humid regions. Hence, giving the bar a bit of rust. Though, this factor is considered mostly by people who go for looks and design which in my opinion, isn’t really a thing to concern about, if your focus is on weight lifting with comfortable feel and reliability. Big things short, the B&R Women’s bar is a very reliable, durable and heavy duty bar which is suitable to perform any type of workout and comes in a very affordable price. Hence, highly recommended! The bar is constructed and manufactured by a very renowned company, B&R so durability isn’t an issue to worry about. The bare steel design gives a very old and impressive look towards new and old weight lifters. 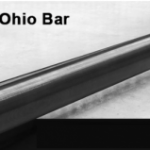 With a tensile strength of 109,000 PSI, the bar have the ability to handle any type of wear and tear. The grip of the bar is very comfortable and secure, especially for the women’s who have smaller hands. 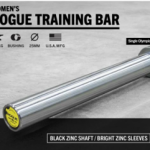 The B&R bar is comparatively less expensive than Rogue’s Bella and training bar, maybe because of natural bare steel is used, besides of Zinc and chrome coating. The knurling on bare steel maybe a bit rough on your hands, which may dig up the surface during heavier weights. The bar steel needs a proper maintenance along with oiling on the rod to make them look fresh and beautiful. Being constructed with bare steel, the B&R bar do have an oxidization rate faster in humid regions though it should be created with proper care.